The benefits of integrating farm and school are well researched. Roseway Waldorf School provides healthy outdoor activity for learners and brings balance to the heavier academic activities that take place in the classroom. The physical activity of working the garden has a directly beneficial effect and many pupils calm after being able to direct their excess energy. After a time on the farm they are often far more ready to sit, focus and receive academic tuition. Our pupils also study many of the activities of farming in a more academic manner. 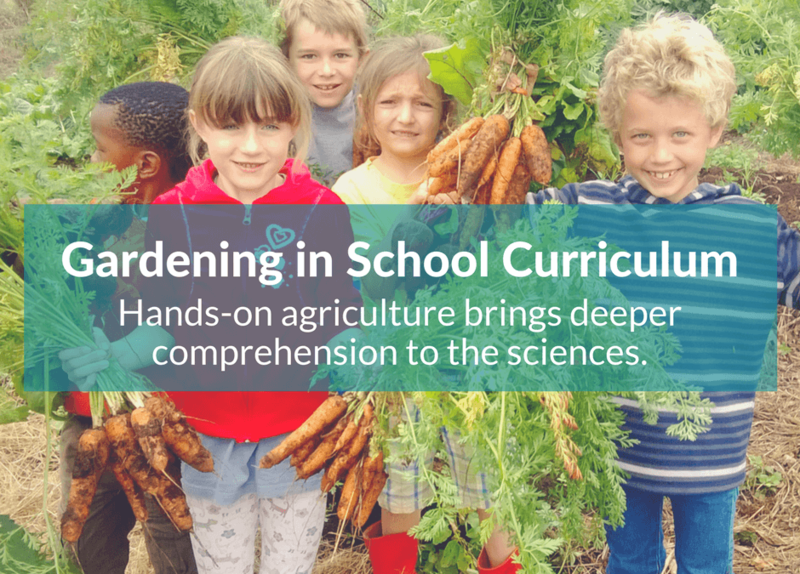 Hands-on agricultural and environmental learning experiences bring deeper meaning and comprehension to many of our studies in the sciences, including botany, ecology, geology, physical science, and chemistry. Our teachers work consciously to dovetail what is done in chemistry and biology lessons with activities on the farm when appropriate for the syllabus. The curriculum ensures that activities involving the farm are age appropriate for each grade. The grade eleven syllabus includes a section on inorganic chemistry and nutrients, where after producing various soils types on the farm, the students then test for and observe their nitrates, phosphates and potassium ions and use this practical experimentation to enhance their understanding in the classroom. In addition to the invaluable experience they’re gaining on the farm, they’re sharing the benefits with the entire school community. The farm is providing a platform for engagement and debate around the crucial topics of food sustainability, nutrition, pesticides and gmo, the benefits of Bio-dynamic and Organic farming(such as on our school) versus commercial farming and the challenges encountered with different methods. These students are exploring any and all ideas from the engineering of hydroponic agriculture to coming up with new ways of developing more sustainable means of planting food in the future with regard to shortage of land and resources. They have looked at urban rooftop farming practices as well as different types of vertical gardening systems in small areas. The students have also learnt that by using a mixed bed approach and companion planting methods, they are able to eliminate the use of harmful pesticides and chemicals on the Roseway farm. We encourage our pupils to develop a consciousness about the health effects of what they eat – this too is supported by our healthy lunchbox recommendations and the produce from the school garden is used by the school tuck shop, which in turn, produces cooked, healthy, organic food daily like soups, curries, stews, quiches and wraps to name a few. Roseway Waldorf recognises the importance of good nutrition in relation to being able to learn and take in subject information better. With a healthy body it is more possible to develop a healthy mind, strong, ready and able to learn, retain and to fully take in what is being taught. All of the practical lessons learnt on the farm prepare learners for many diverse tasks in life by contributing to the development of a well-balanced individual: guiding, nourishing, and educating the whole human being – hands, heart, and mind. The programme encourages youth to be concerned and aware of the environment while reaping the practical benefits of healthy food and a sense of achievement through the wholeness of the process.